Last month, we highlighted a trade catalog featuring a combination bed sheet, tent and sleeping bag. 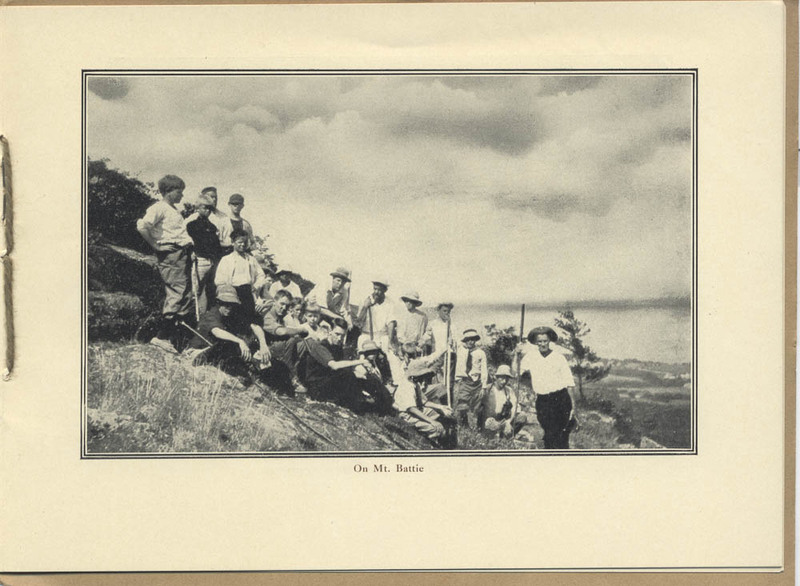 This month, we decided to continue with the camping theme and highlight a 1909 booklet about a boys’ summer camp in Maine, Camps Megunticook & Aroosticook. Imagine beginning your camp experience with an ocean journey! That’s exactly how these boys traveled to and from camp. They departed from Philadelphia via the Merchants’ and Miners’ Transportation Co. and from Boston via the Eastern Steamship Co. On the way home, they traveled via the Eastern Steamship Co. and Metropolitan Line to New York and then by train to Philadelphia. In the end, a camper who left from Philadelphia traveled over a thousand miles round trip and spent a day in historic Boston and another in Cambridge. Camps Megunticook & Aroosticook, Camden, ME. 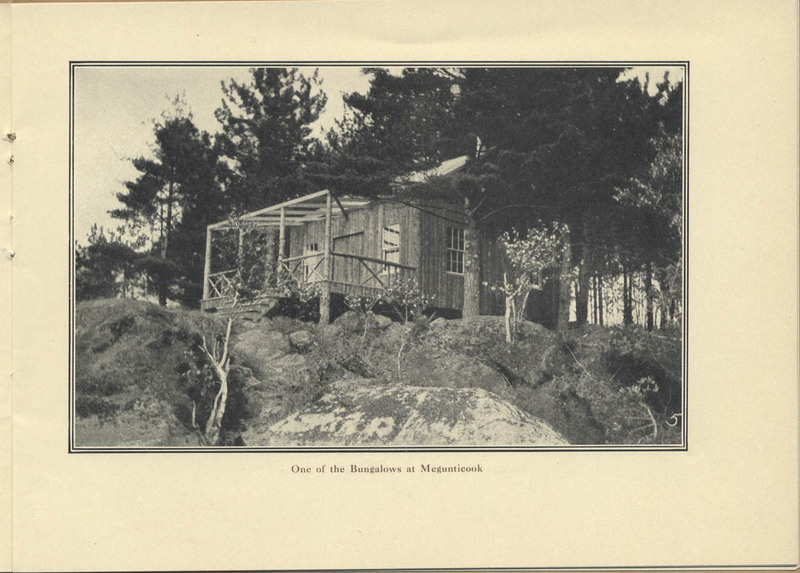 In the Maine Woods, 1909, Bungalow at Camp Megunticook. Activities at camp focused mainly on the outdoors, including swimming, boating, canoeing, baseball, and fishing. They also practiced their photography skills by taking photos of wildlife around camp. At Camp Megunticook, campers had the chance to try mountain climbing and go on camping trips to nearby lakes, caves, mountains, and rivers. There were also treasure hunts and, of course, campfire stories and songs. While at Camp Aroosticook, the boys traveled the surrounding area by taking short trips of one to six days. Camps Megunticook & Aroosticook, Camden, ME. In the Maine Woods, 1909, campers on Mt. Battie. Camps Megunticook & Aroosticook had both Junior and Senior divisions. The Junior sessions ranged in length from about four weeks to almost nine weeks while the Senior sessions were either seven weeks or about nine weeks. The booklet includes a more detailed schedule for the 1909 season. Camps Megunticook & Aroosticook, Camden, ME. 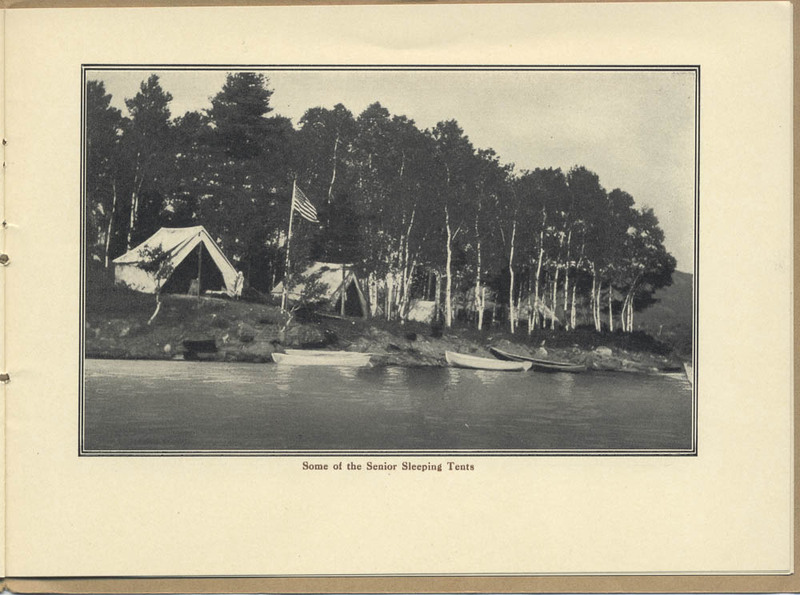 In the Maine Woods, 1909, Senior Sleeping Tents. More information on camp life and camp facilities can be found in this 1909 booklet, In the Maine Woods. It also includes a packing list with optional items as well as the cost of attending camp. In the Maine Woods is located in the Trade Literature Collection at the National Museum of American History Library. Take a look at Galaxy of Images to find out more about spending the summer of 1909 at Camps Megunticook & Aroosticook. Previous Post Vote for your favorites in America’s Family Album! Thanks for the look back in time. I really enjoy your site. Looks like summer camps have been around for a long time and consist of different types of camps. My nephew just came back from a summer camp they found at http://www.campallstar.com/ but it was much different being a sports camp. He is really into sports and got some great leadership training. I would think that there was some good leadership and unity training with the camps in 1909 too. It sounds like the camps in the early days moved a lot from one place to another with various activities packed in each day. I guess campers of the old days were much fitter than todays’ boys and girls. In recent years, summer schools are becoming more and popular with international students. They tend to choose summer schools over camps possibly because of their English levels. I am sending my niece to a summer school based in Cambridge University through http://www.summerschool-uk.com/ this summer. Hope it would be a great experience for her.